Order Excel Form Templates are predominantly used for commercial transactions for stipulated goods. In other words, it can be defined as a written agreement between the customer and the seller against an agreed delivery or service. The below templates will assist you in creating useful documents which can be easily customized to suit your needs. 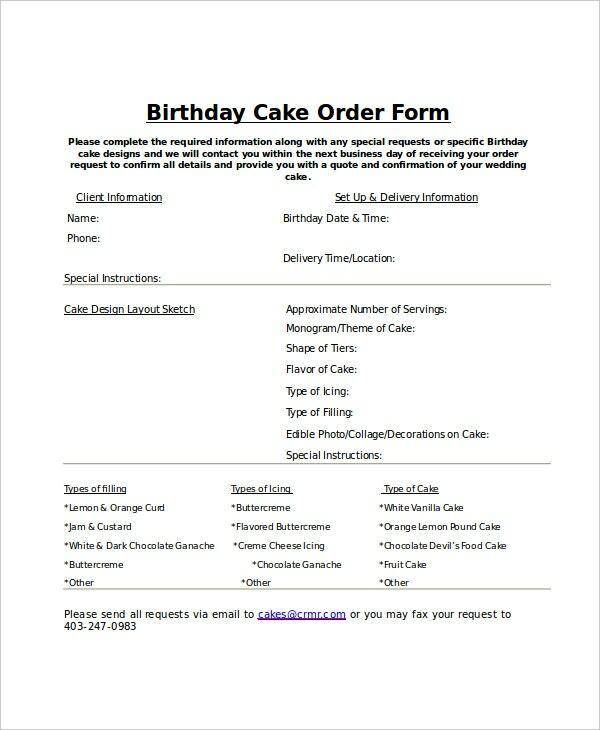 The cake delivery Order Template can be utilized by bakeries and cake factories to accept orders for birthdays, weddings, and anniversary cakes. 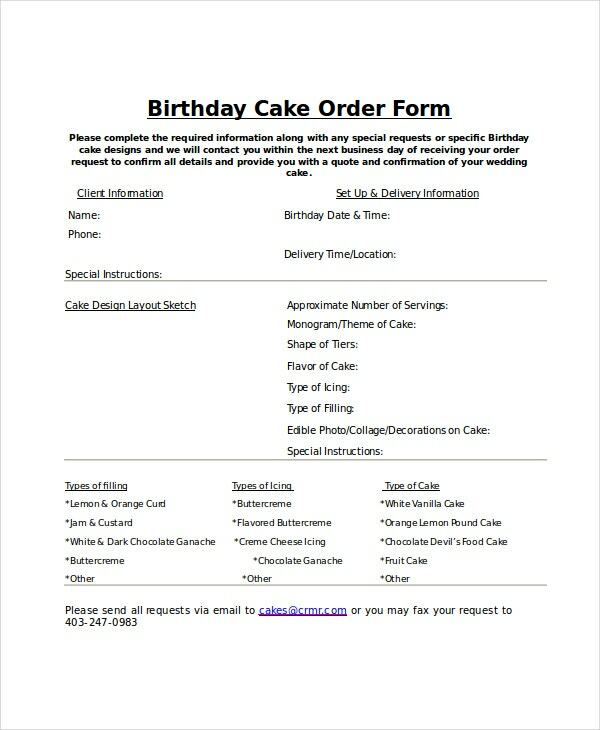 This form also includes the various type of fillings, icing, and the type of cake which the customer intends to select. 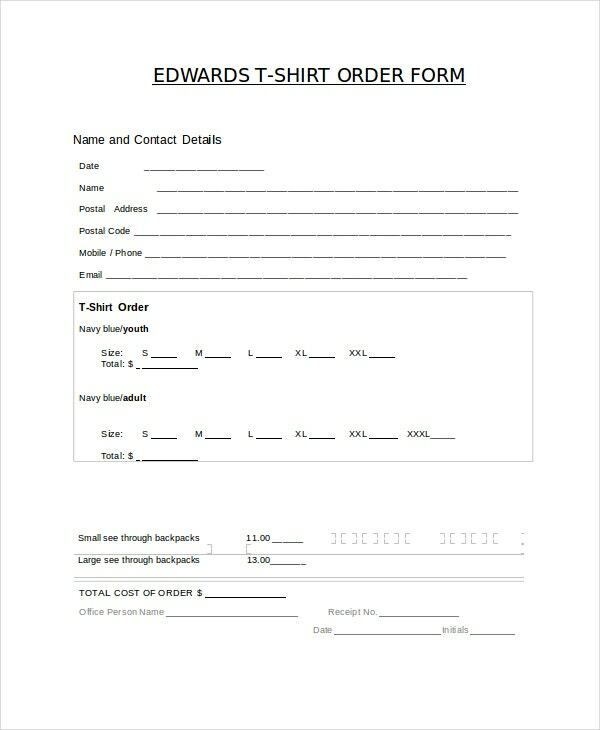 This order form template can be utilized to order t-shirts or any commodities in the respective sizes and colors and duly include the name and contact details of the person who has placed the order. 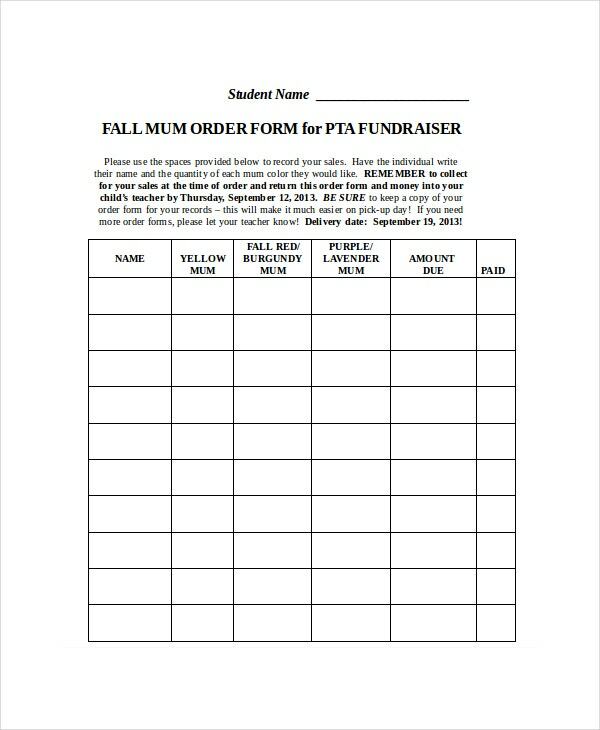 The Fundraiser Order Form template is a simple format which can be effectively used to keep a copy of your order form for your records for an upcoming fundraising event. 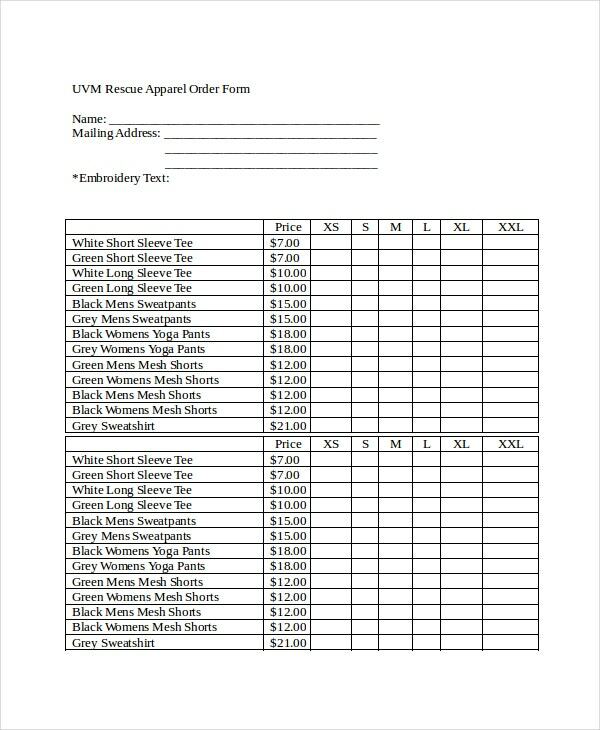 This commercial purchase order template is the first official offer issued by a buyer to a seller indicating types, quantities, and agreed prices for products or services. It is used to control the purchasing of products and services from external suppliers. 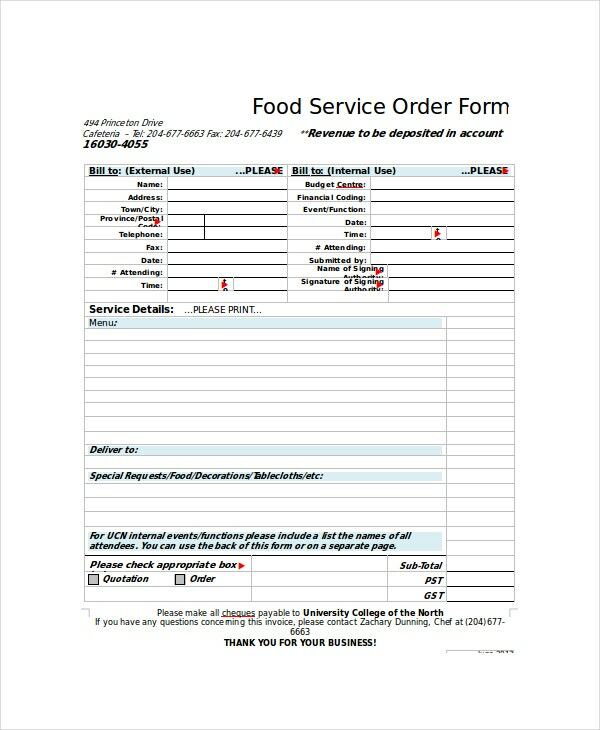 With this blank Order Form Template, you can process repair orders, job orders and service orders for your business. 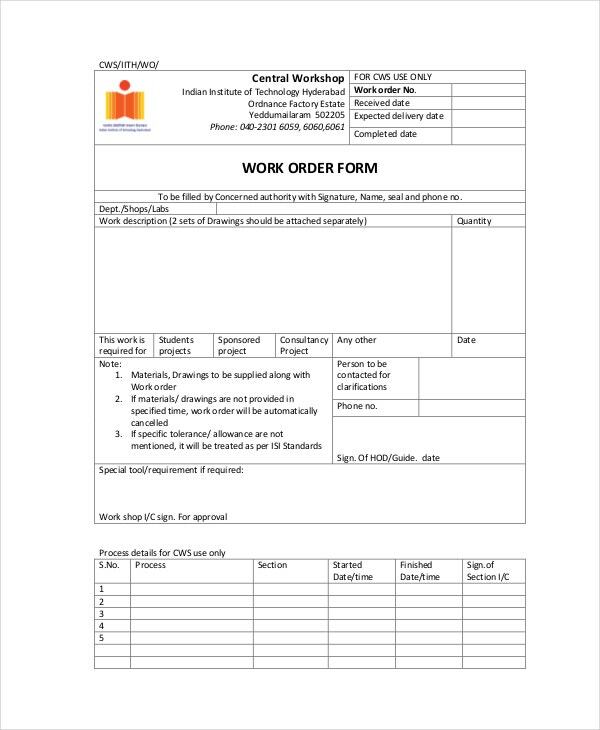 The work order template captures customer and job information and summarizes labor and materials used to complete the required job. 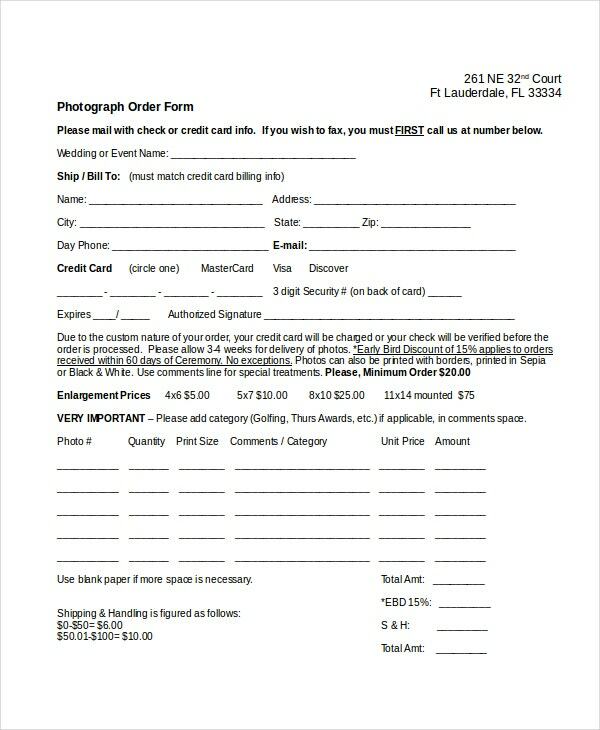 How to Use the Order Form Templates? The order form templates are used to collect purchase order details from websites or from a store. The user can use these forms and its content to update billing, shipping, take orders and make payment. 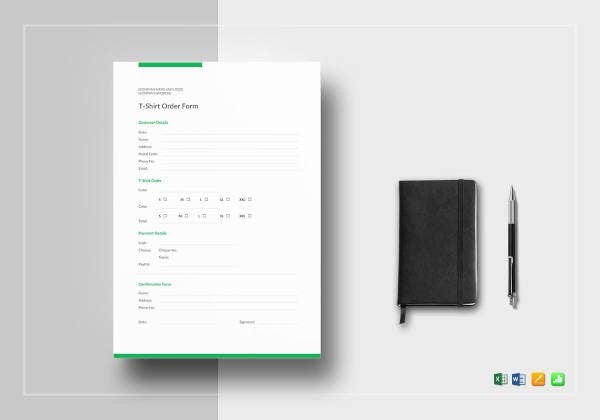 These order forms help the user to effectively track the purchase orders and issue details against a stipulated agreement made between two parties. 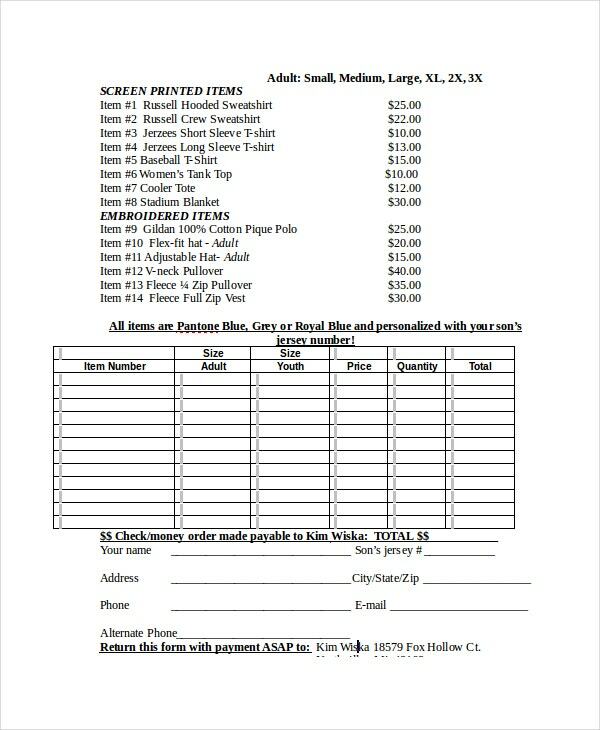 These editable templates come in various formats which can be customized for making invoices and receipts by the sellers. The Order Form Templates have common fields like the date, customer name and job and the project name which you can customize to make your own. What are the Benefits of Using the Order Form Templates? 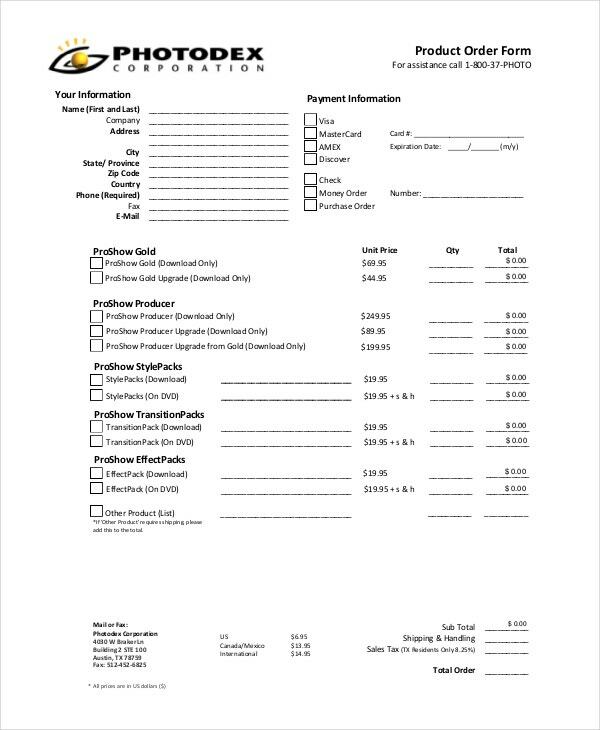 Order form templates are an important aspect of recording transaction and transaction agreements between two parties. They assist in understanding the nature of the work as agreed by the two parties. The order forms are simple to use owing to the fact that a number of people belonging to various spheres can use them to create commercial and business invoices. 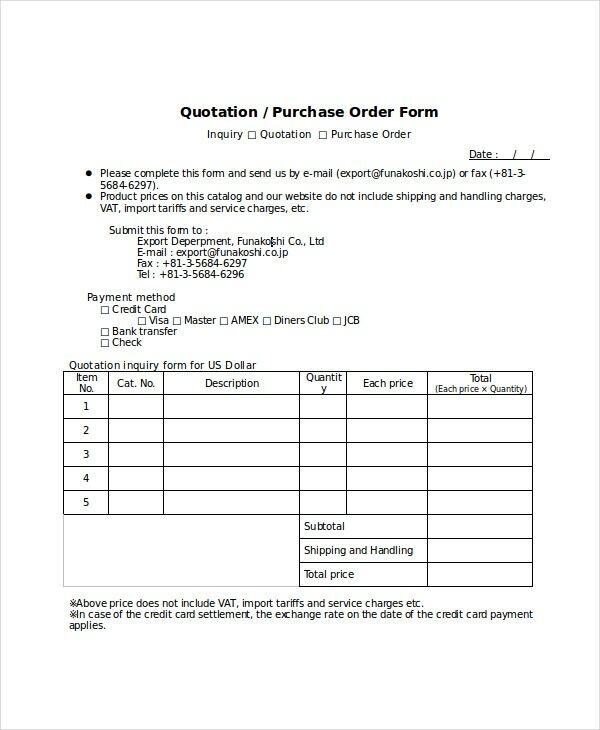 An Order Form Template is a simple business form which is used in the commercial transaction for specific goods and stores data like date, quantity, and description of goods. 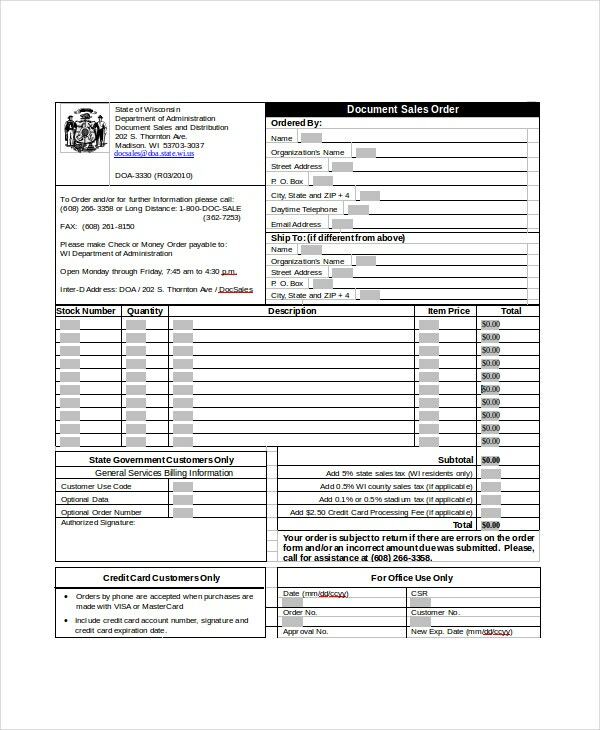 The Order Excel Form templates available for download at template.net have been created keeping in mind the usability of small and medium scale business people who might or might not have a comprehensive technological knowledge. These forms are so easy to edit, download and print that you would never again feel the necessity to create such billing documents from scratch.